Each day will feature big savings across a variety of product categories. 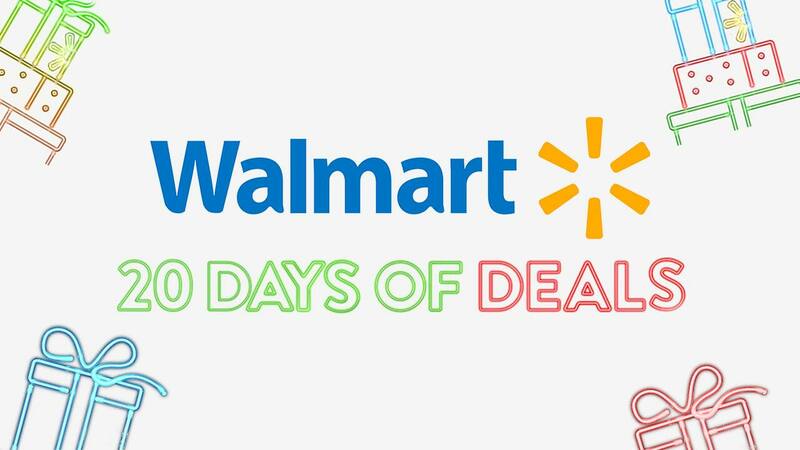 Walmart is celebrating the holiday season with its new "20 Days of Deals" event. Just like Best Buy's 20 Days of Doorbusters, this month-long promotion will feature exclusive deals, revealed each day. It's the retail version of an advent calendar, but you have to act quickly if you want to snag these low prices. Advertised discounts will only be available on the day they're revealed, and sometimes the featured products will sell out very fast. 20 Days of Deals will be running through December 20th, and shipping is free on purchases of $35 or more, not including tax, or $5.99 otherwise. To be one of first to shop newly revealed deals, you'll want to check the official 20 Days of Deals web page at midnight everyday. We won't know what deals will be offered until they go live, but looking at past savings, like a Komodo 50" 4K TV for $169.99, we should be in for a real treat. We'll be updating this article each time newly discounted products appear, so check back every day to see our top picks and highlights. The above is only a small selection of some of the biggest discounts available. There are even more deals available at Walmart's websites, including discounts on toys, clothes, electronics, personal accessories, and much more. Special thank to Slickdealer Blue_00 for posting the original deal thread on this sale. What kind of deals are you hoping Walmart reveals? Let us know in the comments!